Welcome to Promotional Book Tours Group Tour taking place August 3 - 24. 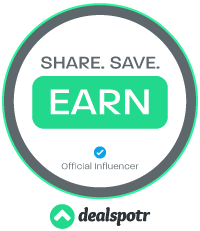 We have teamed up with 9 Amazing Authors and several awesome bloggers to bring you a $100 Amazon Giftcard! Brought to you by these 9 books! Don’t miss out on these great reads even if you don’t have a kindle yet. You can download the kindle app for you phone, desktop, or ipad HERE. All of these books are less than a Starbucks Coffee! 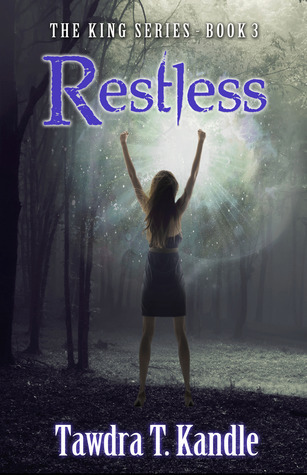 Incredible Dreams is the story of a modern-day ghost whisperer who travels through time to save the life of a WWII fighter pilot, and ends up jeopardizing her own existence. Izzy Miller prefers to call herself a spiritual therapist because she thinks it makes her sound more professional than plain old ghost-whisperer. She expects her latest project to be quick and easy because exorcising military personnel is pretty routine. But there's nothing easy or routine about Captain Jack Baker—he's a rather forgetful spirit and somewhat mischievous. And even though he's intrigued by the US Government's latest attempt to remove him from the only place he can ever remember being... he has no intentions of going anywhere. 50 Parent Commandments: "The Essential Guide to Hiring a Good Nanny"
50 Parent Commandments is a must have book by childcare expert, Tosi Ufodike. Parents all over the world struggle with how to hire and retain good nannies to look after their children. In this book she offers simple, yet effective advice on Hiring a Good Nanny. This book answers many questions: Should you offer your nanny a bonus? What should you do if the nanny is a flirt? Should you allow the nanny to spank your child? How much should you pay a nanny? Nanny Cams?should you have one? Tosi Ufodike relied on numerous parent and nanny interviews to write this book. 50 Parent Commandments is the only book that gives parent tested advice that is not based on theory but practical experience. With humor, insight, and proven experience, Tosi Ufodike breaks down the daunting task of hiring a good nanny. When Tess Tremaine starts a new life in the colorful town of Goose Pimple Junction, she thinks she's moved to a quiet little burg. Curiosity leads her to look into a seventy-five-year-old murder, and suddenly she's learning the foreign language of southern speak, resisting her attraction to local celebrity Jackson Wright, and dealing with more mayhem than she can handle. Jill Prescott returned from self-imposed seclusion to help save her best friend Devan’s life. Throwing herself into Devan’s problems and bringing an evil organization to its knees might just be the distraction she needs to keep living without the only man she’s ever loved. Her life changed forever when she was hired to spend a week with Doc Massey. A thought-provoking, journey of fantasy, through the experiences of a new writer that has moved back to the mountains of Upstate New York with his wife. He encounters a spirit who has passed over, and together, they touch upon many issues and beliefs of society and the concerns thereof; those that weigh so heavily upon their minds. Often controversial, at times extremely passionate, and usually very captivating, this work exudes food for thought that "Magickally" keys forth a possible spirtual awakening for those yearning to grow and learn. The opinions and beliefs presented within, may or may not be similar to those of the reader~ however it will provoke the reader to think about what is said. The author believes this to be a "channeled" work, as much that is wriiten, he believes to have received form the "powers that be." When she agrees to allow Ms. Lacusta to help develop her powers, Tasmyn has no idea how deep and dark the journey will become. Trapped between fascination and fear, she moves farther away from friends and family, even her boyfriend Michael. Leading a double life forces Tas into decisions that will threaten her sanity and her future… and the very lives of those she loves. When Sissy was six, she had her first vision of her sister’s (Misty) disappearance. Her mother (Tina) said she had a bad dream, but not long after that Misty vanished before Sissy’s eyes. No one believed her, so Sissy pretend to act like everyone else, like Misty never disappeared and never existed. For the past fifteen years Misty’s disappearance has haunted Sissy’s dreams. She could hear the ear piercing screams at night of her sister begging for help. Sissy tries to help her, but never succeeds. Sicily “Sissy” Monroe attends the University of Washington and is in her senior year majoring in Psychology. She has all the makings of a perfect young lady, ageless skin, flawless long black hair, full kissable lips and eyes that are shaped like almonds. She is almost where she wants to be in life. But laying deep in the pupil of her eye’s hold something that she cannot get rid of, which interferes with her plans. The exclusive King's Club resort casino is a glittering playground for gamblers with everything to gain and the hunting ground for a killer with nothing to lose. Until casino owner Jay King hires P.I. Kasey Atwood. Kasey's attraction to King is immediate. The “Phantom” was a musical phenomenon that Rebecca had always found enchanting. She had no idea that her life was about to mirror the play that was her obsession. When her high school drama club chooses “Phantom” as their annual production, Rebecca finds herself in the middle of an unlikely love triangle and the target of a sadistic stalker who uses the lines from the play as their calling card. 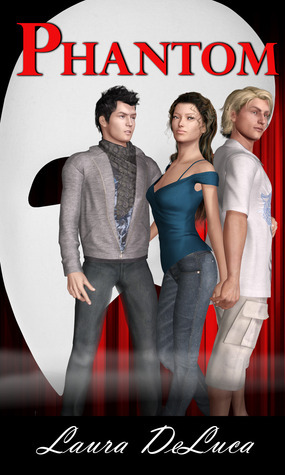 Rebecca lands the lead role of Christine, the opera diva, and like her character, she is torn between her two co-stars—Tom the surfer and basketball star who plays the lovable hero, and Justyn, the strangely appealing Goth who is more than realistic in the role of the tortured artist. Almost immediately after casting, strange things start to happen both on and off the stage. Curtains fall. Mirrors are shattered. People are hurt in true phantom style. Incredible Dreams sounds right up my alley. Thanks for bringing it to my attention. Murder and Mayhem in Goose Pimple Junction. Murder & Mayhem in Goose Pimple Junction looks like one I'd enjoy. Murder and Mayhem in Goose Pimple Junction- it looks interesting!!! 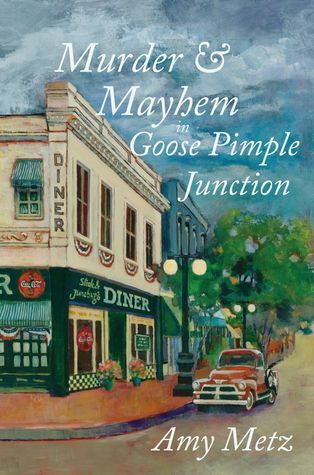 Murder & Mayhem in Goose Pimple Junction looks like a good cozy read. Murder and Mayhem in Goose Pimple Junction - looks like a great cozy mystery! I am most interested in Murder & Mayhem in Goose Pimple Junction.